Tips & tricks on how-to build your own Paper Toys. In this section you can see several videos that explain the best way to cut, fold, glue and play with our Paper Toys. you can find an ever useful tip that will make your toy even greater. 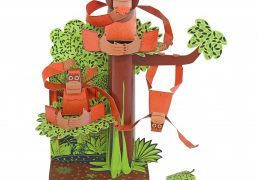 In this video you can see the whole process of creating a Paper Toy at PUKACA. Since the early sketches to the countless prototypes to the final product, each Paper Toy takes a lot of hard (fun!) work. In this video we’ll explain how-to perfectly cut some of our Paper Toys. In this video we’ll explain how-to fold our Elephant’s head. This video is the best way to understand the “Hill Fold” and “Valley Fold” methods for folding. In this video we’ll explain how-to glue our characters, after folding them. In this video we’ll explain how-to assemble a Paper Theater. In this video we’ll explain how-to build a rotating head. 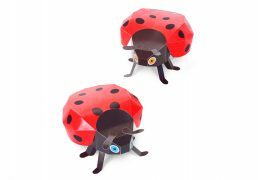 This method is used in the Forest Animals Paper Toys, in the Maxi Owl Paper Toys and in the Robots Paper Toys.